Oh Auckland and overseas readers, have I got a story for you this week! Take yourself back to 1960. Think of the Fab Four. No not THAT Fab Four, the Four Seasons! 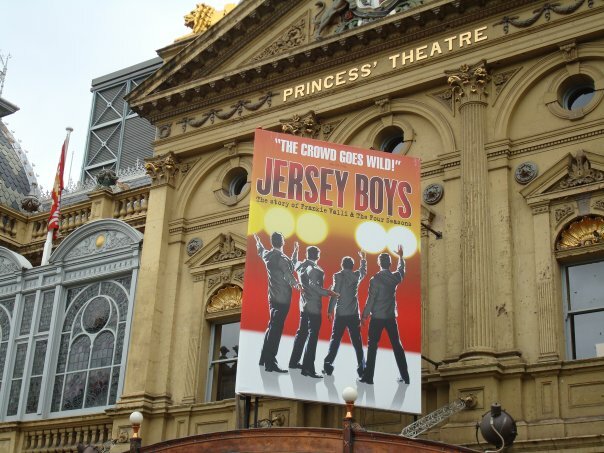 Now you'll notice both of those songs come from Jersey Boys, the musical chronicling the rise and fall of Frankie Valli and the Four Seasons. Four boys from the wrong side of the tracks became one of the biggest American pop music sensations of all time. Their songs are constantly covered and featured in films. Perhaps one of those above may be familiar to you. Outside the Civic Theatre in Auckland. Outside the Princess Theatre in Melbourne. I'm heading along to the show once, perhaps twice this week and will be doing a review of it. So keep your eyes open or even adoring sometime next week.